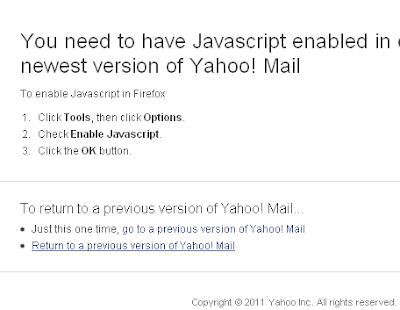 How to switch back to Yahoo! Mail Classic? The new version of Yahoo! Mail is sleek, stylish and fast. But you need a faster Internet connection for better browsing experience. In slow connections you may experience some problems in opening your emails. Are you on Yahoo! too? Not happy with your Internet speed and unable to open your mails? 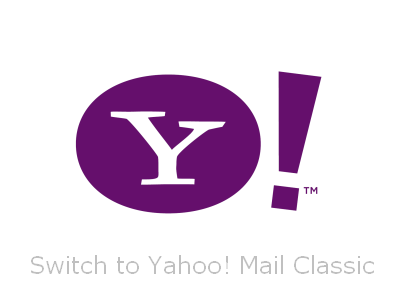 Want to switch back to a previous version or Yahoo Mail Classic? If yes, follow the steps below and switch back to Yahoo! Mail Classic today. In Firefox go to Tools and open Options. Open Yahoo mail URL and login using your id and password. Now you are back to the classic version. Refer the screenshot below for help. There you go, you're back on the "faster" one. At long last, iOS 5 is finally here, two days before the launch of the iPhone 4S. Though iOS 5 is not as drastic of an upgrade as we saw with iOS 4 in June 2010, it does offer some much-needed and exciting enhancements for iOS users. A few are quiet and long overdue and others will seriously change how you use your Apple handset. On that note, perhaps the biggest of all is the addition of over-the-air updates, which obviate the need to tether your iPhone to a computer for syncing. But there's a lot more under the hood with this upgrade, and we think users should be excited to plug in their iDevice one last time. 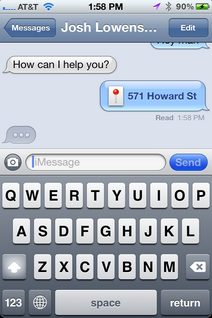 iMessage also adds a new way to keep in touch and a way to circumvent your carrier's monthly allotment of messages. A few improvements simply make the user experience easier, like Twitter integration in the major Apple apps, basic image-editing tools for the camera, and a Notification system paired with reminders that keep you informed with a glance at your Home screen. Smaller upgrades abound, of course, some of which we've listed here. We haven't found all the "Easter eggs," though, so as you find other changes, let us know in the comments. We've documented many of the major changes here, but we tried to limit our coverage to the big tweaks that will affect users most. Apple says there are more than 200 new tweaks for the iPhone, iPad, and iPod Touch, and we'll be covering many more of the minor changes with features and How To posts in the coming weeks. Instead of pop-up menus that interrupt your work, a new Notification Center will combine messages, missed calls, app updates, a stock ticker, and the current weather in a single place. You can access it by swiping your finger downward from the top of the screen, and notifications will appear on the lock screen as well. You then can jump directly to the related feature for each notification and delete items by tapping the small X next to each line. Though not exactly original--the pull-down menu has long been a hallmark feature of Android--the ability to see all notifications in one place in iOS 5 is certainly welcome. Since the first iPhone's debut more than four years ago, the iOS notification system has remained largely unchanged so we were long overdue for an upgrade. While simple, in the pre-iOS 5 world, the current application running is unusable until you dismiss the message. Even worse, several messages in a row quickly become annoying. We think iOS users will appreciate this small, but time-saving change. Check back later this week to see how these notification features compare with Android. This app will bring together magazine subscriptions in a central place. The concept is similar to iBooks, even down to an icon that looks like the periodicals shelf at your local library. As you subscribe to a publication through a new channel in the App Store, new issues are delivered in the background, eliminating the need to manually grab them when they publish. Newstand's success on the iPhone depends largely on how much reading you do on the smaller device, and how much digital content you purchased through Apple, but it's a great way to have content you like delivered to you. iPad users will probably benefit most here--with the added screen real estate--and reading magazines on your iPad will now be easier than ever. Worth noting is that Apple's done something interesting with this app, letting it expand into a user's home screen, just like a folder of applications. The company doesn't let third-party apps do this. All of the Newsstand features will become available at launch. We will add to this portion of the review when we learn more. Thankfully, users now will be able to post photos to the social networking service without leaving the image gallery or camera application. It's a nice change, given that it will end the need to take a photo, switch to the iPhone Twitter app, and then post the photo. You'll be able to add a location, sync Twitter with your contacts list, and tweet directly from YouTube, Safari, and Maps. When you send your first tweet from any of the designated apps, you can enter your Twitter info or create a new account. You'll also have the option to download the free Twitter client from within the sign-in screen--probably part of the deal Apple set up with Twitter to get integration into iOS 5. While there are third-party apps that might be a better choice as your Twitter client (iOS 5 Twitter integration does not include browsing Twitter), we think users will appreciate the ability to quickly send a tweet. The mobile version of Apple's Web browser now has the Reader option that was announced at the 2010 WWDC. Rather than having to deal with complicated layouts of various Web sites, the reader streamlines multipage articles in a RSS-like view while stripping out ads, but leaving photos. You also can e-mail the entire text of a Safari page to a contact (under iOS 4, you could send only a link). The Reader option is fantastic for reading strangely formatted Web pages, giving you a clear and iOS optimized layout for reading articles. We think people will be especially happy to finally get away from reading Web sites meant for a desktop computer, when there is no mobile option available. Our only problem with the Reader is that it may strip out too much--we often want to see comments on an article, but the Reader deems them unnecessary. In other Safari news, tabbed browsing is now available on the iPad and you can add a Web page to a Reading List list for future perusal on any iOS device. The latter feature keeps a story on your reading list until you have time to read it, and it can be synced between multiple Safari devices. Be sure to check out our post exploring iOS 5 on the iPad from Donald Bell. This handy addition lets you store multiple to-do lists with dates for each event; you can categorize reminders by GPS location. So, for example, if you have a reminder of "Call home when I leave work," the app will use GPS to note when you're on the move and send the reminder via push notification. Reminders can be shared between devices and sync with iCal on the Mac with CalDAV, and on Windows with MS Exchange. The app has its own sleek-looking scrollable calendar as well, so you can browse or add new tasks and reminders for future dates. Sure enough, the iPhone reminded us once we got about a half block away from the building. You also can have it remind you to do something when you arrive at a location, like "Call Mom when I get home." These will both be extremely useful for those of us who don't remember all the details. Browsing through your reminders is easy with a starting page where you can quickly track and search for reminders using a search field. You also have the option to create tasks for more-open-ended reminders that don't need to be done by a specific time. We think Apple did an admirable job with this app, but we think many of the plethora of to-do apps at the iTunes App Store offer more options. For simple reminders and tasks, however, the Reminders app will probably be enough for most users. iOS 5 adds several requested features to the camera app, making it much more like a point-and-shoot camera. You get a shortcut on the lock screen that will launch the camera immediately, even bypassing the lock code. A simple double-tap of the Home button brings up both the basic music controls (as before) and the camera icon in the lower right. You then can use the volume control to snap a photo. The picture is saved to your camera roll, but for security (having not used your access code) you'll only be able to delete the shot (keeping unwanted users from browsing your iPhone photos). Inside the camera you'll get grid lines, pinch to zoom (in addition to a slider bar at the bottom of the screen), autofocus, and the ability to change the exposure. After taking photos, you can edit your shots with crop, rotate, red-eye reduction, and a single-tap color correction option. The cropping features let you crop your images with a resizable box, or you can constrain the aspect ratio to keep a standard size. Rotate options let you spin an image in 90-degree increments so you won't have to worry about sideways photos. Red-eye reduction is a simple process that has you select the red-eye tool, then tap the red eyes of your subject for instantaneous and impressive results. The single-tap color correction tool balances your colors and, in our tests, did indeed make the image look better. Though we welcome these additions, Apple is way too late to the photo-editing party, as this functionality has existed on basic phones for years. Also, while we like the basic editing features, we doubt it will mean the demise of third-party apps like Photoshop Express. The iOS mail app now has rich text formatting, better indent control, flagging of messages, and the ability to drag addresses between To, CC, and BCC lines. Also, you now can search within the body of a message instead of just in the From, To, and subject lines. 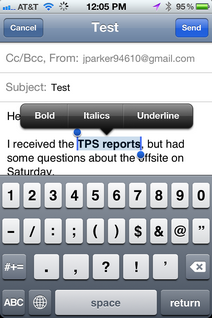 Mail for iOS has needed many of these features for a long time, so it's good that we finally have them. Flagging e-mails as important will certainly help the business crowd. The selection tool (when you double-tap a word and drag selection anchors) are a still a little awkward to use--especially for large blocks of text, and it's important to note that you'll need to select text to apply any rich text formatting (bold, italics, or underline options once selected). Still these are needed steps forward for the mail app, and users will appreciate the changes. One thing on our wish list for a future iOS release is for Mail to get Safari's Reader feature. With iOS 5 we still stumbled upon the occasional e-mail with its own special formatting that the app didn't adjust to make eyeball-friendly on the smaller screen. Considering how much e-mail reading people do on their iOS devices, this would be a welcome addition. Arguably the most notable change, PC Free will bring over-the-air software updates and device activations. So as on Android, Windows Phone 7, and BlackBerry OS 5 devices, you'll no longer have to plug your device into a computer or even own a computer at all. The updates will serve only the changes, so they'll be shorter, and you'll be able to sync, back up, and restore your device using the new iCloud features. You'll also find new features within apps, like wirelessly editing photos, managing e-mail folders, and creating and deleting calenders. To sync your iOS device to iTunes on your computer, you need only be on the same Wi-Fi network and your device needs to be charging (plugged into a charger). You can then go to Settings > General on your iPhone to select iTunes Wi-Fi Sync. From there you can select Sync Now on your iPhone and your photos, music, and calendars will be backed up in iTunes. While not pretty or particularly novel (especially with so many other smartphones offering the same features), over-the-air updates might be the most important of all for iOS in this update. We've heard many stories of users complaining about sync times, and not having your phone tethered to your computer for long periods will be appreciated by all. We'll add more details about iCloud as we use explore it further. Additions for gamers in iOS 5 include the addition of profile photos, the ability to compare achievement points, friends of friends lists, recommended friends and games, support for turn-based games, and a way to buy games directly from Game Center. We like the added personal touch of adding a photograph to our profile in Game Center, but we think people should have more fun options for page customization (it is "Game" Center, after all). Game recommendations (based on your current library) seem pretty solid, but we did find a few games in the list we had previously deleted. The ability to buy games from within Game Center makes it a bit more of a destination, but it still seems like the service will still be a behind-the-scenes social connector as it was in iOS 4. 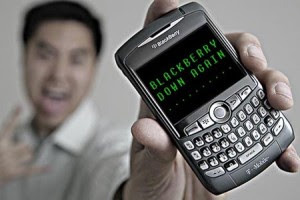 Apple takes a shot at BlackBerry with this instant messaging app that will work across all iOS 5 devices. As with BlackBerry Messenger (BBM), you'll be able to exchange unlimited text messages, photos, and videos with your friends, family, and colleagues. Also, your messages won't cost you anything and they won't count against the monthly allotment of messages from your wireless carrier. You'll also get group messaging, an indicator to see if someone is typing to you, delivery and read receipts, secure encryption, and conversation syncing that is pushed to multiple devices. iMessage will work on 3G and Wi-Fi networks. The updates to the iPhone messaging system are welcome changes, with some of the new features mimicking what third-party paid chat apps in the iTunes App Store already do. We're a little disappointed that the location and contact sharing features don't come straight from iMessage (you need to share them from the Map app or your contacts) as found in third-party apps. Still, the ability to send that data to a friend is an improvement. For example, to send a contact, you'll need to go to your home screen, open your contacts, select a person, choose the Share Contact button, then choose iMessage. It would have been better if we could bring up the contact list straight from iMessage. We will be comparing these features more in depth to BlackBerry Messenger (BBM) later this week. Despite getting off to a smooth start, some users are experiencing problems upgrading to Apple's latest version of iOS. Numerous users on Twitter and Apple's support forums are now reporting issues downloading the new version of the iOS software. The Next Web notes that most users with problems are getting a 3200 error, with the message that an "internal error" occurred, and that the upgrade process has been canceled as a result. Other users--including at least one CNET editor--have run into problems after successfully downloading the update, with iTunes spitting out an error message as the file was extracted. This is not the first time an iOS update has brought hiccups for first-day upgraders. Last year's iOS 4.0.1 rollout, a minor update that adjusted how the iPhone calculated and displayed its signal bars to users, resulted in many people not being able to install the update on top of the initial version of iOS 4. Apple did not immediately respond to a query about the issues. We'll update this post when we know more. Update at 2 p.m. PT: Razorianfly points out that you can grab the firmware update file directly from Apple if you were planning to do a restore, and are experiencing slowness on the download through iTunes. Below are direct links to those files, which you can use to update your device by holding Alt (Windows)/Option (Mac) and clicking the "restore" button in the iTunes iOS device summary screen, then pointing to the file that matches up with your device. Worth noting is that this will wipe your iOS device to factory settings, so either be patient if you plan to use the update button in iTunes, or back up your device in iTunes first. It's been a long, long time coming, but Facebook has finally unveiled its iPad app, reports This Is My Next. At time of writing it wasn't live in the App Store, but check back very soon and it should be there, ready for download. So what can you expect? Well the bad news is it's lacking the new Facebook features unveiled at the recent f8 conference, such as Timeline. But it does include a lot of favourites features, and it looks very similar to the iPhone version. You've got Chat on board, full-screen games, and News Feed notifications. It and the iPhone app are also getting an upgrade, adding new features previously unavailable. Such as? The ability to add bookmarks to apps, pay using Facebook Credits for in-app payments, and there's a new Requests dialogue that shows app notifications, such as invitations to join in games. These features aren't available as yet -- they've only just been pushed out to developers -- but it shouldn't be long till we can take advantage of them. 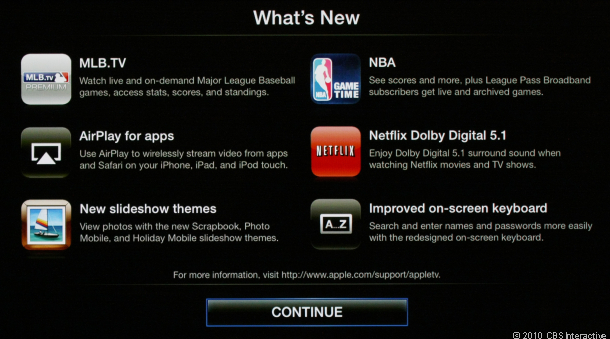 Previously these features were only available on websites or apps through Facebook.com. Writing on a blog entry announcing the launches, Facebook software development engineer Luke Shepard wrote: "We are at the beginning of bringing Facebook Platform apps to mobile. The features we are launching today are still under development. They will evolve as we learn more about building richer social experiences on mobile devices." 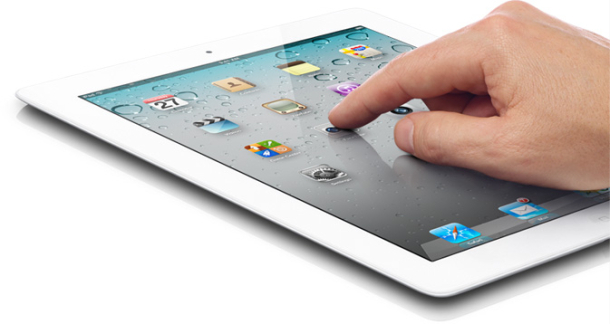 The Facebook iPad app has been in development for some time, with Mark Zuckerberg himself said to be personally involved.